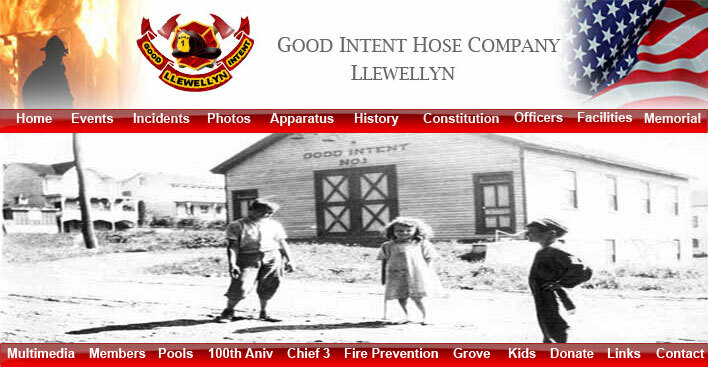 The Good Intent Hose Co. #1, Llewellyn, was started in 1886 and later disbanded. 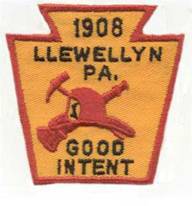 The fire department as it is current was formed in 1907 and chartered, August 28th 1908. 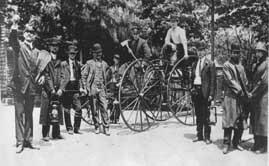 Lou Stineman, Leir Adams, Dan Zimmerman, Edward Terrill, William A. Gable, George Fishburn, Jacob Fink, Lewis Beach, Art Salada, Lewis O. Maul, Frank P. Boyer, G. H. Morgan, Issac Schoffstall, Frank Russell, Abe Starr. The grounds were provided by the old Philadelphia and Reading, Coal & Iron Company on a 99 year lease at a $1 per year. The site was on Shober St. Some controversy about our first apparatus. The first piece of fire apparatus was an 1870 hand drawn hose cart which is now housed in the current fire house. 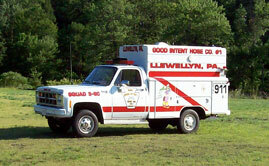 The cart was donated to Good Intent of Llewellyn from Good Intent of Pottsville. 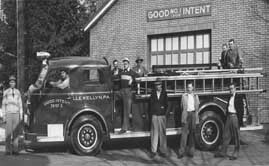 By 1910, the company purchased its first fire apparatus. A four wheel type which had to be pulled by firemen to the scene of the fire. 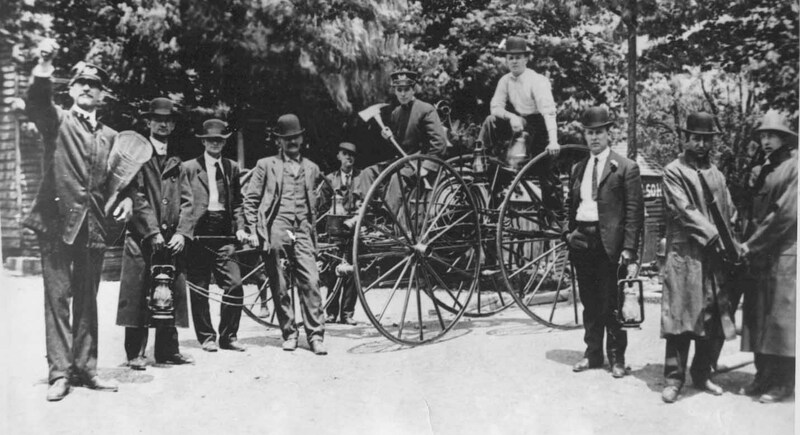 It was bought from the John Yaissle Wagon Works of Pottsville. 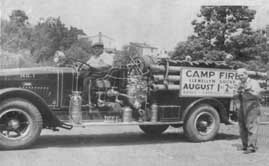 In 1929 a new Hahn Pumper was purchased. 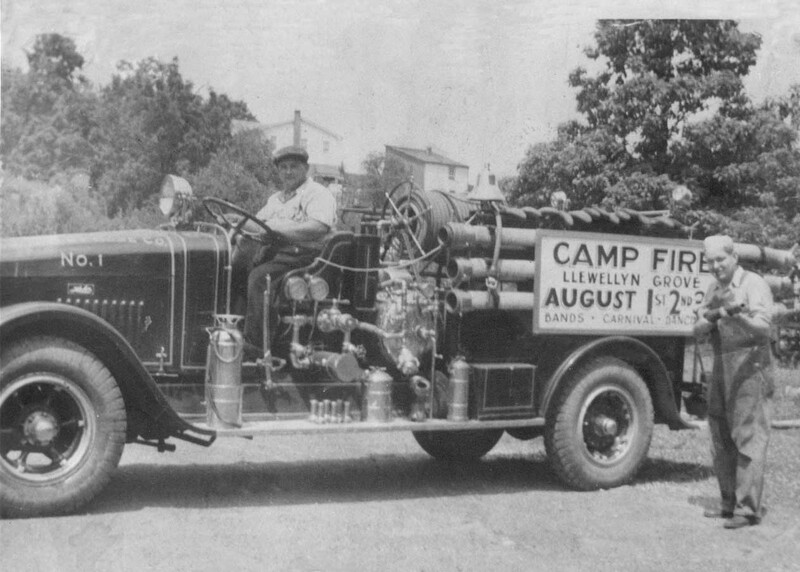 This truck was loaned to Duncott Hose Company for a while and then given to Newtown Hose Co.
On February 5th 1970, the Good Intent Hose Co. #1 had a devastating fire. Everything was lost. The station and the engine were destroyed. Neighboring fire departments (13 total) were called to extinguish the blaze. Yorkville Hose Company loaned a truck for the fire company to use until a new truck could be purchased. It was housed in the garage of the Llewellyn School. During the 1980's the next piece of apparatus purchased was a 1971 milk truck from Clover Farms Dairy in Muhlenberg Township, Berks County. 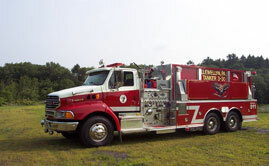 The milk truck was refurbished into a 3600 gallon tanker with a 350 GPM pump. The truck was sold in 2004 to a construction company. In 2000 a 1965 Dodge 300 4x4 Power wagon was bought from Lenni Heights Fire Company, Lenni, PA for $500. It has a 250 GPM Pump, 250 Gal Tank. This vehicle is used as a utility/brush truck. 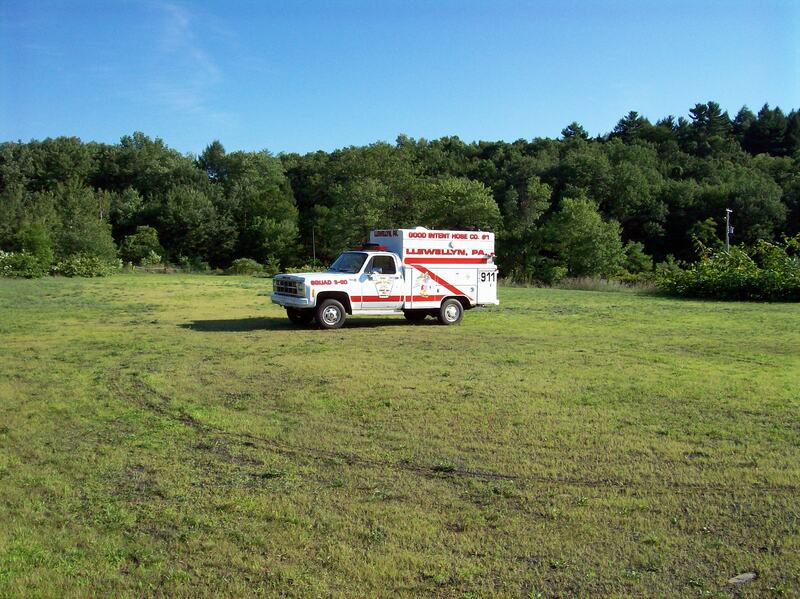 In 2001, This 1986 Chevy 4x4 was donated by Tunkhannock ambulance and is now used for a squad truck. In 2007 this truck was sold to a contractor. In 2004, The company received a grant from FEMA for $207,000. The money was used to replace the tanker and to buy this brand new Central States Tanker. 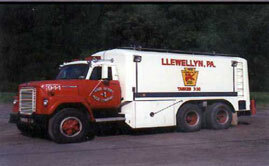 In 2006, This 1980 FMC was donated to the company from East Penn Fire and Emergency. 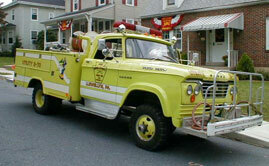 This truck was then donated to Coalplay Fire Co and it is in service. In 2007, This 1984 Ford was bought off of HH&L from Pine Grove. This unit replaced the 1988 Chevy that had rust issues from sitting out outside for 6 years. 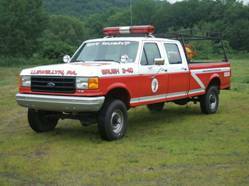 In 2008, This 1988 Ford F350 4x4 was donated to the company from PA DCNR. 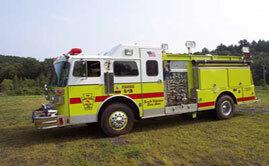 This truck was created into a fire company vehicle by the members and is used as a brush truck and utility vehicle. In 2009, The company recieved a grant from FEMA. The money was used to replace 3-70 and the dodge was sold to a private buyer who plans of restoring. 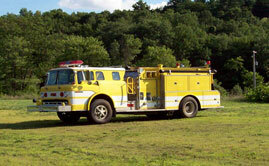 The New 3-70 is a 2009 Ford 550 Rosenbauer. 2/1/1953 – Starr’s Store, the Iva Hendricks home and Salada home were destroyed by fire on Willing St., the latter being saved. The George Starr home and the George Zimmerman home sustained some damage. 12/13/1963 – Branch Twp. School was destroyed by fire which started in the basement. The only part of the school saved was the auditorium and gymnasium. Across the street the home of Louise Houser suffered considerable damage. The heat from the fire was so intense that the north wall of the old brick school (occupied at the time by a dress factory), was “red hot”. The employees removed all material stored near this wall, preventing another catastrophe. 12/1970 – The firehouse destroyed by fire. The fire started in the bar area near a beer cooler. Michael Pothering Sr., tried to save the fire truck by going inside the main entrance but the engine would not start. He said the tires were on fire when he got in the engine. When the members ripped off the garage doors by their bare hands, the flames shot all the way across the street. All the neighboring fire company’s efforts to try to save the building & engine were all in vein. 1970 – The Bur Ben Bar an old landmark for the town was destroyed by fire. Tony Shultz who lived nearby, fired three shots from his rifle in the air to awaken the neighbors & fire company. 04/30/1984 – Six young people plunged down a mine shaft on the Sharp Mountain in a four wheel drive Chevrolet blazer, there were no survivors. It took one week to retrieve their bodies. The names of the victims were: Mark and Connie Bluis, Sheri Bluis, Patrice Meza and Thomas Frew. 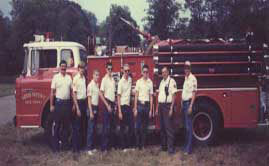 The fire house acted as the Command Post during this event and the members were there for security and support help for the miners and the mine emergency rescue teams. 05/1986 – The Branch Coal Breaker destroyed by fire in 1968. The breaker was abandoned for years when it caught on fire in the early morning hours. A movie “The Molly Maguires” was filmed on this location, starring Richard Harris & Sean Connery in 1969. The scene using the breaker as a background was when the Jack Kehoe was captured. When the fire happened, the fire departments stood by making sure no dwellings caught on fire from the spectacular blaze. 07/1993 – A fire destroys Don’s Classic Restoration and Auto Repair on Route 209. A worker was removing a gas tank from a vehicle when it slid off a stand pouring gasoline all over the floor. The fumes may have been ignited by a shop light on the floor. 10/04/1993 – A train crane toppled over killing the operator and trapping him underneath. 09/05/2005 – Hurricane Katrina came to shore on 08/25/05 in the gulf coastal region of Mississippi. The category 5 hurricane totally devastated the Cities of Gulfport & Long Beach and the surrounding area to Louisiana including New Orleans. The cry went out to the USA asking for help. Harrison County, Mississippi, requested help on 09/02/05. Pennsylvania answered the call with rescue teams, ambulances and tankers. 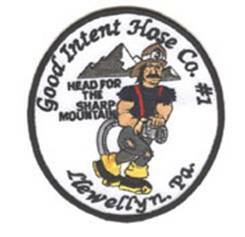 Since the Good Intent Hose Co. No. 1 received a Federal Grant to purchase our pumper\tanker the members decided this was a great way to help repay the people of the United States when they came thru for us. It took 3 days for the two states to give the final ok for us to go. On Labor Day 09/05/2005 at 8:00AM the call came thru from PEMA to deploy the tanker task force. @ 10:15AM Fire Chief Michael F. Pothering Jr. and 1st Asst. Chief Mark Oshman left the station to meet up with the rest of the PA Tanker Task Force on the south western end of the state at the last exit in PA on I79 before heading down to Mississippi. This left 2nd Asst. Chief Maurice Lord in charge of the station until we came back. During the trip, Mike was notified by PEMA that he was in charge of the PA Tanker Task Force. By 6:30PM we left the meeting spot with a 12 tanker task force and 25 fire fighters. The tanker task force stopped in Beckley West Virginia at midnight to get some rest. 09/06/05 the team left at 6:10AM and arrived at the Emergency Operations Center in Gulfport, Ms on 09/07/05 at 2:00AM. We were told to get some rest and by 8:00AM we got our assignment to Gulfport Central Fire Station for the first week. We were redeployed to Long Beach for the second week. We returned safe & sound on 09/17/05 without any problems.